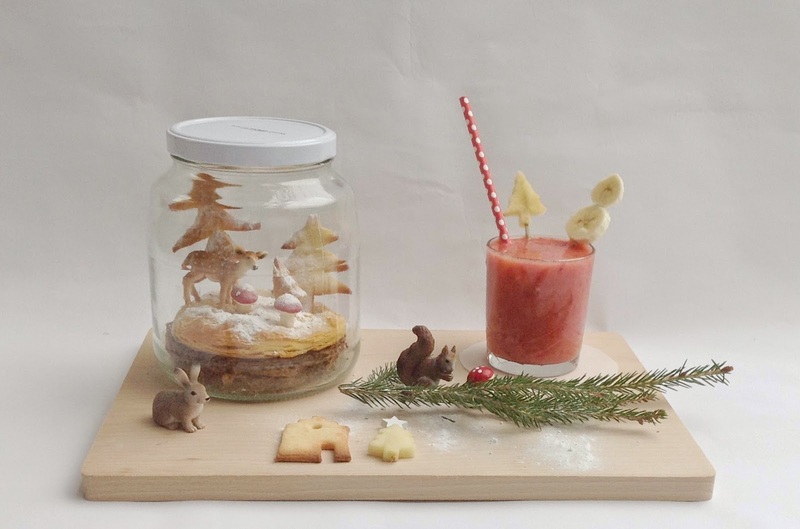 Yesterday I made this forest in a Jar breakfast for my girls, in the jar is a peanut butter sandwich, topped with circle made of croissant dough, with a toothpick I added a few trees and little mushrooms and added some powdered sugar assnow. The breakfast was served with a red smoothie and decorated with some sleigh animals. Het ziet er weer prachtig (en lekker) uit. Mooi gemaakt zeg. so cute ... Happy 2015 ! !